Fledgling Spanish developer, Red Rake, has signed a massive partnership deal with iSoftBet. 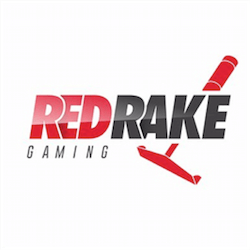 Red Rake are hoping to make use of iSoftBet’s fantastic game aggregation platform to help manage their slots and Bingo games. For such a young company, signing this partnership deal will put them in an excellent position to continue their expansion into varied online gaming markets. The director of Business Development at Red Rake, Carlos Fernandez reiterated what a great deal this is for the young company. He calls this deal a milestone moment for Red Rake which will help the company expand their reach. Michael Probert who is the head of Business Development at iSoftBet praised their GAP platform and said that this deal once again shows how large GAP is growing in the market. The praised the quality of the software Red Rake produces and said that to be competitive in the market you need developers like Red Rake who focus on quality and originality. This deal follows a deal a few weeks back between iSoftBet and Tom Horn gaming. Again the deal was thanks to iSoftBet’s excellent GAP system. Tom Horn will now be able to offer their games to over 60 leading operators in the European market. The GAP platform will offer the full library of Tom Horn titles which will keep iSoftBet casino members happy and Tom Horn fans engaged. This deal also places allot of pressure on Tom Horn Gaming as they have made their name creating unique and market specific content. With their now expanded audience demographic, the developers will need to step up their game. They will be heading into a very competitive market with stunning developers all competing for a slice of the pie. Having access to iSoftBet software will certainly help make Tom Horn’s recent agreement with TOPsport in Lithuania a much smoother transition. Red Rake on the other hand has also signed notable deals, most recently with online casino group Avento. Red Rake will be providing content to three of Avento’s online casinos, giving players full access to hot Red Rake games like Ryan ‘Obrien, Eastern Goddesses, Wildcano, Myrtle the Witch and many more. iSoftBet and Red Rake are certainly a match made in heaven. With the impressive growth that Red Rake has seen this year, it is an incredibly strategically valuable deal that they have signed with one of the best business software providers in the industry.